In line with the celebration of the National Women’s Month and in honor of Filipino women and their contributions in shaping families and societies, Film Development Council of the Philippines (FDCP), together with Department of Interior and Local Government (DILG) and the Philippine Commission on Women (PCW), has launched CineMarya – a festival of short films centering on women. 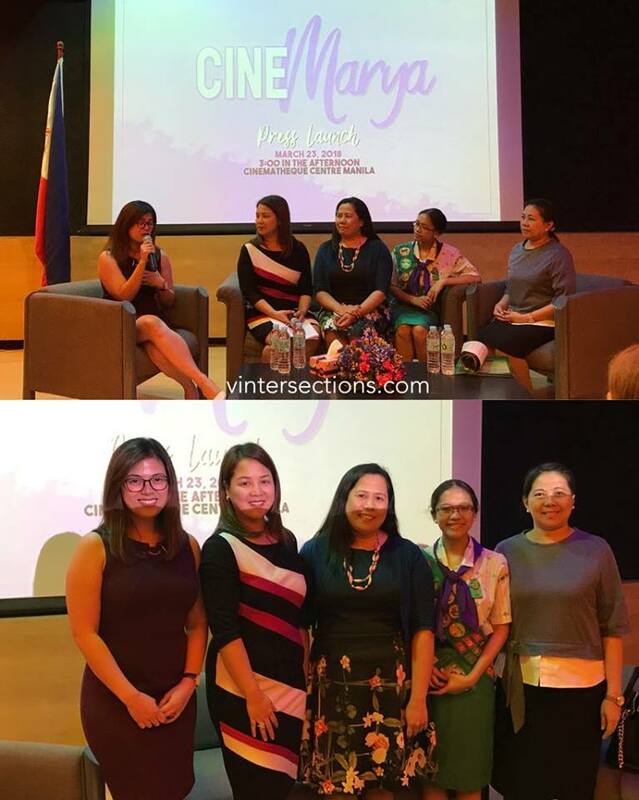 “The festival aims to tell stories of Filipino women, more than their beauty, but their strength and passion, rising above prejudice and struggles in society,” said FDCP Chairperson Liza Diño during the launch of the Festival last March 23 at the FDCP Cinematheque Center Manila. The launch was also attended by DILG Asec. Marjorie Jalosjos and Chief of Corporate Affairs and Information Resource Management Division of the Philippine Commission on Women Honey M. Castro. For its first year, CineMarya will grant a seed money of One Hundred Thousand Pesos (P100,000.00) to interested participants aged 18 to 30 years old to produce a 10 to 20-minute short films tackling women empowerment, different roles of women in the society, and awareness about diverse social issues on women and equality and others. The festival is open to filmmakers who have not yet made a feature film/documentary. As part of the Festival as well, FDCP will conduct an educational component for the ten (10) finalists of CineMarya by providing two (2) slots (preferably the director and another representative) to the FDCP Filmmaking Workshop Series – Planting Seeds and Film Industry Conference during Pista ng Pelikulang Pilipino 2018. The finalists will also have the privilege to undergo the CineMarya film camp - a 2-day intensive filmmaking workshop in a secluded area in Rizal featuring multiple filmmakers, PCW representatives, and others. Each production team’s director shall serve as a fellow for this intensive program that would help develop their skills in story development, editing, and other elements of filmmaking to better advocate women empowerment. Applicants may submit their entries to FDCP from April 1, 2018 to June 30, 2018.